Rail transportation has been a major asset to those heavily engaged in the energy procurement process. Typically, such a practice consists of a double-ended strategy, as businesses relying on trains to distribute oil, natural gas and coal also need to provide capital to fuel the engines themselves. Recent legislative and innovative events would suggest that this routine is about to be disrupted. 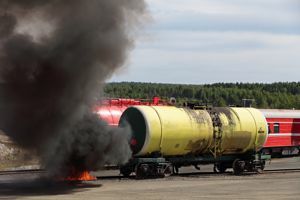 According to Manufacturing.net, Canada will require distributors to enforce a three-year phase out or retrofit the kind of rail tankers involved in an grievous accident that occurred last summer in the small town of Lac-Megantic, Quebec. The tragic occurrence resulted in the deaths of 47 people after a runaway train carrying crude oil derailed and exploded near the Maine border. In addition, 30 buildings were destroyed. In light of the event, an anonymous Canadian official confirmed that any businesses distributing fossil fuels and various other flammable liquids throughout the North American nation will be prohibited from using the DOT-111 tanker cars used to transport such materials. The source noted that about 70 percent of all tankers consist of the DOT-111 model. As Canada is heavily embedded in the continental strategic sourcing of energy, it's likely that rail companies will require massive production of upgraded cars. This may set off a chain of events that puts pressure on the steel industry to supply manufacturers with the necessary materials to create these hypothetical models. Some professionals have asserted that diesel will no longer have a place in rail's future. According to a report released by the U.S. Energy Information Administration, liquefied natural gas (LNG) will play a significant role in fueling freight locomotives over the next few years. Recently, the United States witnessed increased production of natural gas, which has driven prices of the fuel much lower than its counterpart, crude oil. The report noted that seven major domestic rail freight companies consumed more than 3.6 billion gallons of diesel fuel in 2012, amounting to nearly $11 billion in costs for the same year. Those same companies perceive LNG as a less-expensive alternative, and industry experts believe that continued manufacturing will further costs and offset the approximate $1 million incremental cost associated with LNG. What this change in preference could mean is the transformation of typical procurement management considerations. If locomotives are run primarily on natural gas, other industries may start relying on rail to deliver a variety of different goods. What Is E-Procurement And How Is It Beneficial? Benchmarking and the Confirmation Bias. You Need Real Benchmarking Data – Here’s Why. Procurement software affected by Heartbleed Bug?